For starters, I’ll go on record to say that I’m a big DirecTV fan. Having tried Comcast’s abysmal cable box UI and DVR, and knowing the fact that Dish doesn’t have AMC anymore is enough to keep me a loyal subscriber for many years. That said, I was pretty excited to hear about today’s reveal of DirecTV’s newly upgraded HD DVR, the Genie. The new DVR continues to best others on the market, this time adding a massive 1TB hard drive, capable of storing up to 200 hours of HD programming – or 800 hours of SD (but who watches SD anymore?) 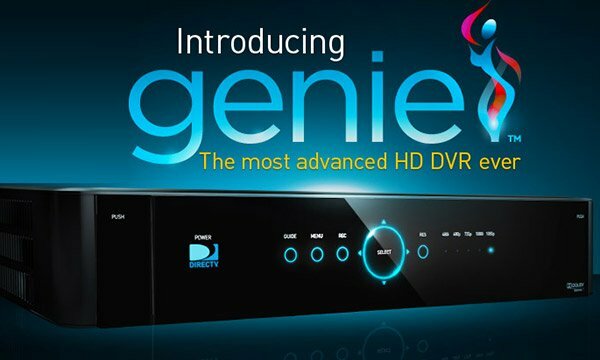 The Genie HD DVR also has 5 tuners built in, allowing you to record up to 6 shows at once, including a simultaneous VOD download. A single Genie receiver will provide whole-home DVR service to up to 8 televisions around your house. You can even watch the same program on up to 4 sets at the same time, and each location gets its own full DVR controls, including record and delete abilities. And if you have a TV that supports RVU (currently Samsung’s 2011 6000, 6400 and 6420 series sets), you won’t even need a separate box to control the Genie. 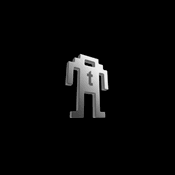 It also supports picture-in-picture – a feature I’ve sorely missed from older television sets, so you can watch two programs simultaneously on one set. DirecTV is also touting “Genie recommendations” which are supposed to suggest shows that match your preferences, but I’m not sure how different this is from the recommendation feature already available on current DTV receivers. I’m definitely interested in upgrading my 5-year-old HD receiver, so I’m happy to hear about today’s announcement – though there’s no official word yet on upgrades for existing subscribers. Though the idea of losing the 50 or so hours of programs I’ve still got to watch on my current DVR is a little hard to stomach. Perhaps, someday they’ll offer an upgrade path that lets you transfer your existing programs to a new DVR. You can find out more about the DirecTV Genie here.